Hyderabad, March 6: A very young district of Telangana 'Mulugu'. The great Kakatiyas, Ramappa temple, located at Palampet village in Mulugu district, may get the ‘World Heritage Site’ tag as the Government of India nominated as India's only temple for the world heritage site selection process to UNESCO this year. "The Centre selected Jaipur over Warangal last year. 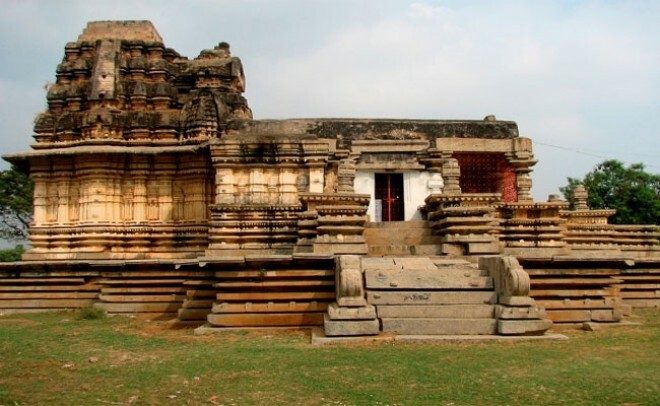 However, thanks to Chief Minister K. Chandrasekhar Rao, the Government of India has nominated Ramappa Temple as the heritage site this year and has sent the same to UNESCO," the Kakathiya Heritage Trust(KHT) members said. The members of KHT, M. Panduranga Rao and Retired IAS officer B.V. Papa Rao stated that the KHT started the process of preparing the dossier for the world heritage site way back in 2012 before the Telangana state was formed. The Trust attended preparatory meetings by the Archaeological Survey of India(ASI) as to how to prepare the dossier. The Trust first prepared an application for putting Ramappa temple in the tentative list of world heritage sites as a prerequisite. Since 2013, this Kakatiya monument is in the tentative list of UNESCO. After the formation of Telangana state, the proposal got the support of the Department of Heritage and Ministry of Culture, Telangana. In 2015, the Trust along with the Department of Heritage Telangana prepared the dossier with the technical services of G.V.S. Suryanarayana Murthy. "The dossier was submitted by the state government to the Centre in 2018 along with the dossier of Jaipur city. Both dossiers were technically qualified but the Centre preferred Jaipur as India’s nomination for 2018. However, with the efforts of the Chief Minister, the Centre has sent Ramappa temple as India’s only nomination to Unesco for 2019" Papa Rao said. "The monument’s universal values would ensure that Unesco accepts Ramappa temple as a world heritage site in a year or two" Panduranga Rao said.